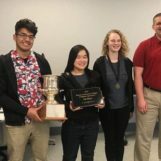 GARDEN CITY, Kan. — The Garden City Community College Quiz Bowl team was named the State Champion in a two-day Kansas Collegiate Quiz Bowl tournament which took place on April in Wichita, Kansas. GCCC’s team consisted of Aaron Morales (Captain), Madison Wilson, Seth Szekula, and Grace Selee. The team placed first with eight wins, zero losses, and one tie. 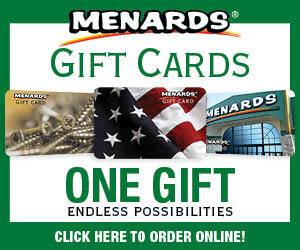 The team accumulated a total of 2,860 points in nine total rounds of the competition. The team was victorious over Johnson County Community College, which placed in second and Cloud County Community College, which placed in third. Collegiate Quiz Bowl is an academic team that participates in fun, fast-paced, quiz-style tournaments similar to Scholars Bowl and Bible Bowl. Quiz questions are drawn from any topics covered by a community college curriculum: math, literature, art, physical and social sciences, history, religion, geography, music, and current events. Jeanie Ferguson has served as the head coach for the team since 2014; Cody Cundiff –a new faculty member this year– is the team’s assistant coach.